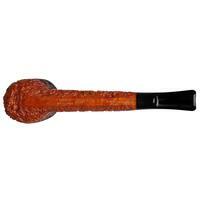 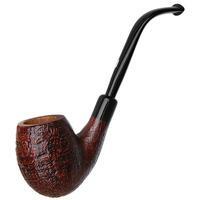 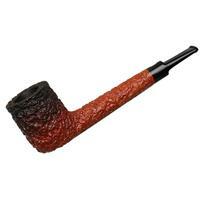 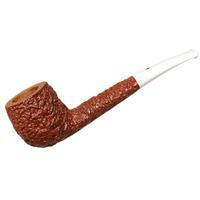 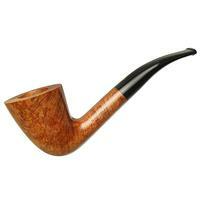 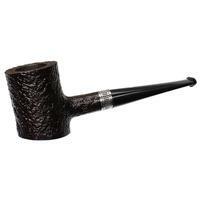 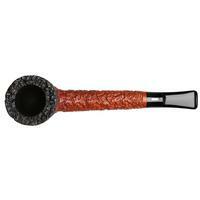 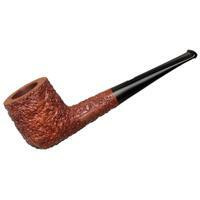 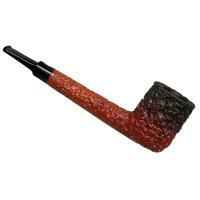 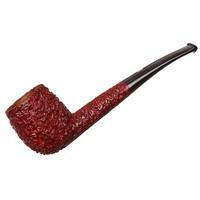 The Lovat is my favorite shape, and if I had nothing to smoke but this pipe for the rest of my life, I'd be OK. Castello's Sea Rock rustication is impressive, and the in hand feel is unrivaled. 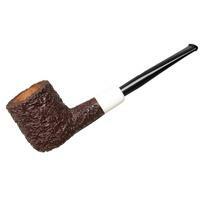 Inevitable rim darkening is a non-issue here, with the top of the bowl stained black and graduating to a warm cinnamon brown below the waist and up the length of the shank, a technique unique to Italian pipemaking known as "fuming." 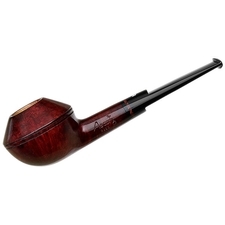 With a subtle, consistent taper from the transition to the abbreviated saddle stem, even more visual weight is thrust forward to the bowl and firm heel.